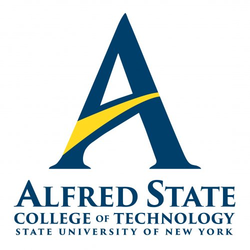 Alfred State College students are doers, not bystanders. The college is ideal for purposeful, action- and goal-oriented individuals. ASC students get a head start on their careers, as our programs, teaching methods and in-the-field experiences provide intensive, hands-on, usable, real-world learning. Our graduates are well-prepared and work-ready. Employers marvel how ASC graduates are able to Hit the ground r u n n i n g! Current students and alumni always have access to our JobLink job postings!